Thank you, Juno spacecraft, for this glorious new image of Jupiter’s southernmost regions—and for reminding us of the beauty that exists within our tumultuous Solar System. Behold Jupiter’s southern hemisphere, as seen from a distance of 44,300 miles (71,400 km) and above a southern latitude of about 71 degrees. 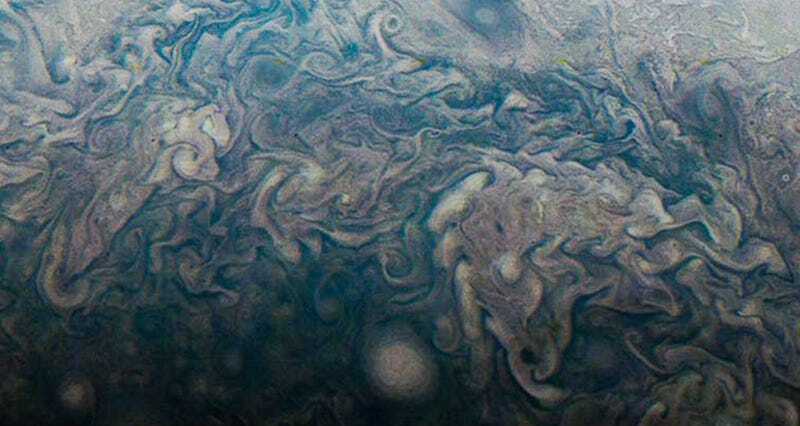 NASA’s Juno spacecraft took the photo (which has been colour-enhanced) during a particularly close orbital encounter on 23 May 2018. The probe is in a unique polar orbit, which is why we’re finally able to see the nether regions of this massive planet. Jupiter’s southern tip, much like its north, is filled with storms. The oval features are cyclones, the largest of which measure up to 600 miles (1,000 km) in diameter. It’s easy to forget the scale when looking at an image like this; more than 1,300 Earths would fit inside this gas giant. Juno arrived at Jupiter on 4 July 2016, and despite having orbits that are longer than planned, the spacecraft has sent back a host of valuable data. 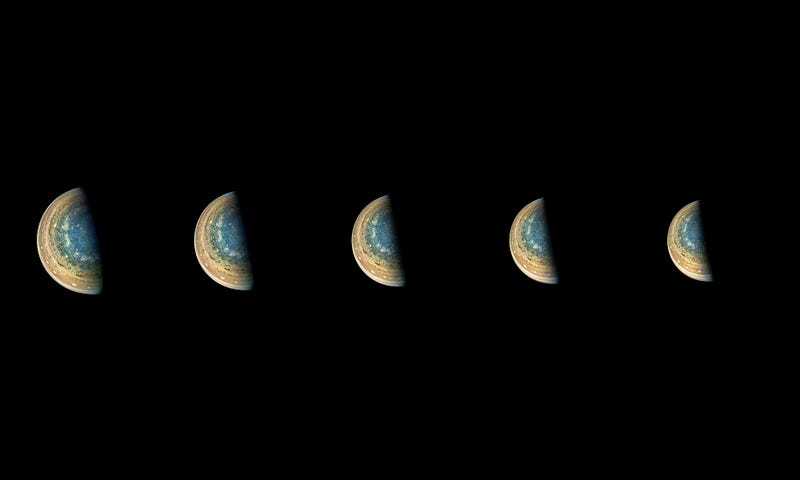 In early June, NASA announced that Juno’s mission will be extended to 2021, which means we can look forward to more images like these, and more discoveries about the inner workings of our Solar System’s largest planet.